The perfect crystal cuff to adorn your wrist if you love dramatic vintage bangles. The intricacy and beauty seen in Edwardian vintage jewellery is combined with the drama of bold cuffs from the glamorous 1940s to create Ornate Treasure Bangle. Featuring an intricate antique silver tone scroll design encrusted with sparkling clear and shimmering smoky Austrian crystals, the open scrolling gives a delicate style to this bold cuff. 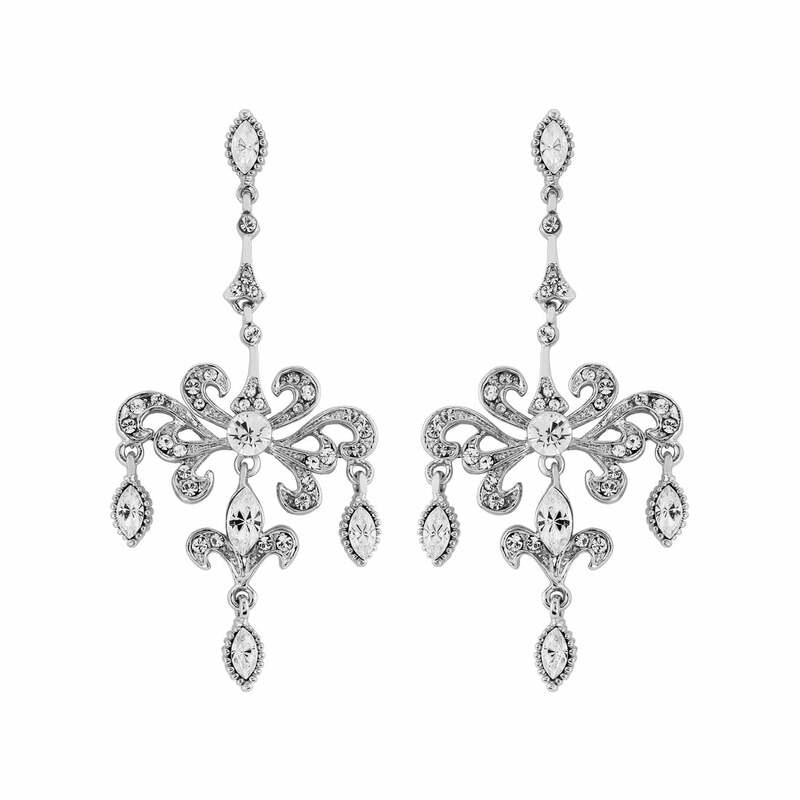 The perfect accessory to adorn your wrist for a dinner date or a glamorous party, simply team with a pair of smoky drop earrings for an effortlessly chic look. A divine wedding bangle for brides who adore antique bridal jewellery, this piece has heirloom style and enhances vintage inspired bridal gowns with the charm of bygone eras. Coordinate with a dramatic side tiara and glide down the aisle with sensational style.